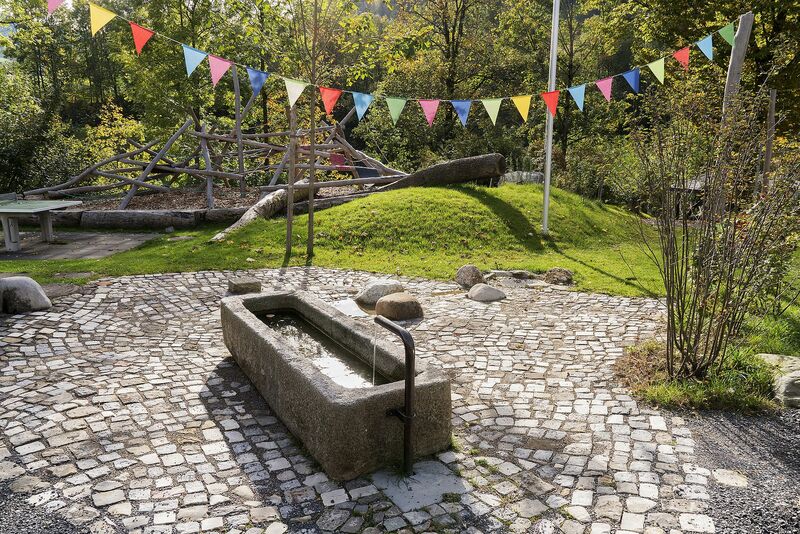 A rustic granite fountain was set at a newly-opened playground. A playground requires certain conditions, where everything wears well with time. Granite is extremely resistant and even with other stones, will be hardly damaged. 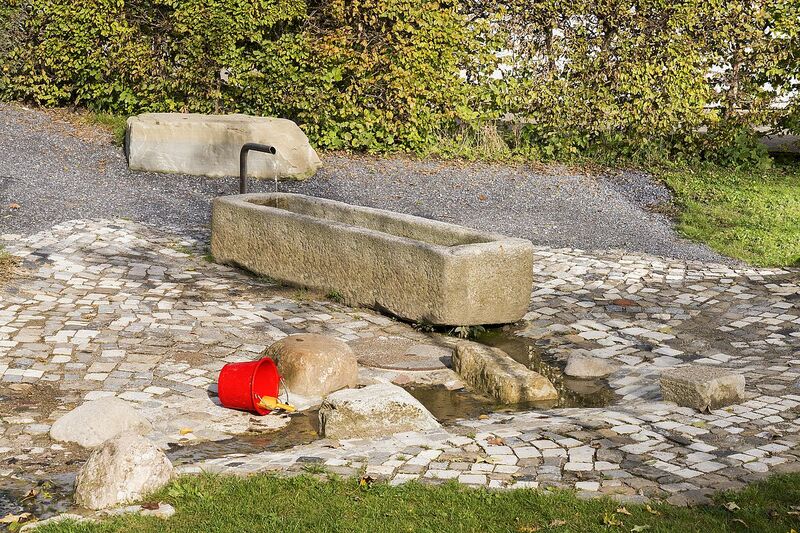 The spout has been specially straightened so that it can not be impacted by playing children.